WoW Happy to see you're not spiteful with me Donald !. . Wallpaper and background images in the 迪士尼 club tagged: disney walt movies walt disney. So nice of him to give you presents! He try to buy me for loosing the fight ! 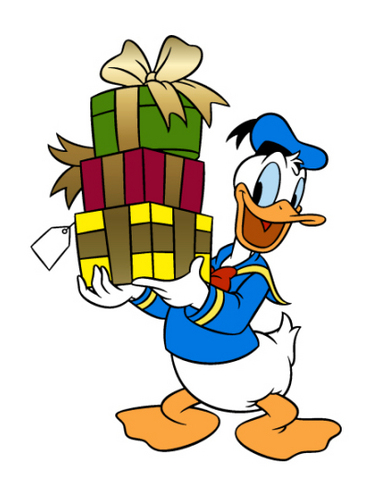 Your only chance Duck is having Chocolate in your boxes ! You'll have to open them to find out! Oh it's not polite to do this ! Hey look ! He forgets to put off the label with price on the first box. Not Gentleman !! lol! We have to teach him some manners! Hey Vic, teach your Duck to be a Gentleman !